ROXAS CITY, Philippines — The debate on which between Navy-Standard Insurance and 7Eleven Cliqq-Air21 by Roadbike Philippines is the best team in the country rages on. On this particular day, the Navymen pulled one over the 7Eleven riders as two-time champion and Navy skipper Jan Paul Morales edged Dominic Perez to claim Stage Three victory in the LBC Ronda Pilipinas 2019 that unfurled in Iloilo and ended in front of the Roxas City Hall here yesterday. The 33-year-old Morales, who reigned supreme in this annual race in 2016 and 2017, used teammate Ronald Oranza as a decoy to outrace Perez and the rest of the peloton in the mass finish and snare the 179.4-kilometer stage win in four hours, 35 minutes, 18 seconds. Indonesian Projo Waseso of Nex Cycling Team checked in at third with the same clocking. 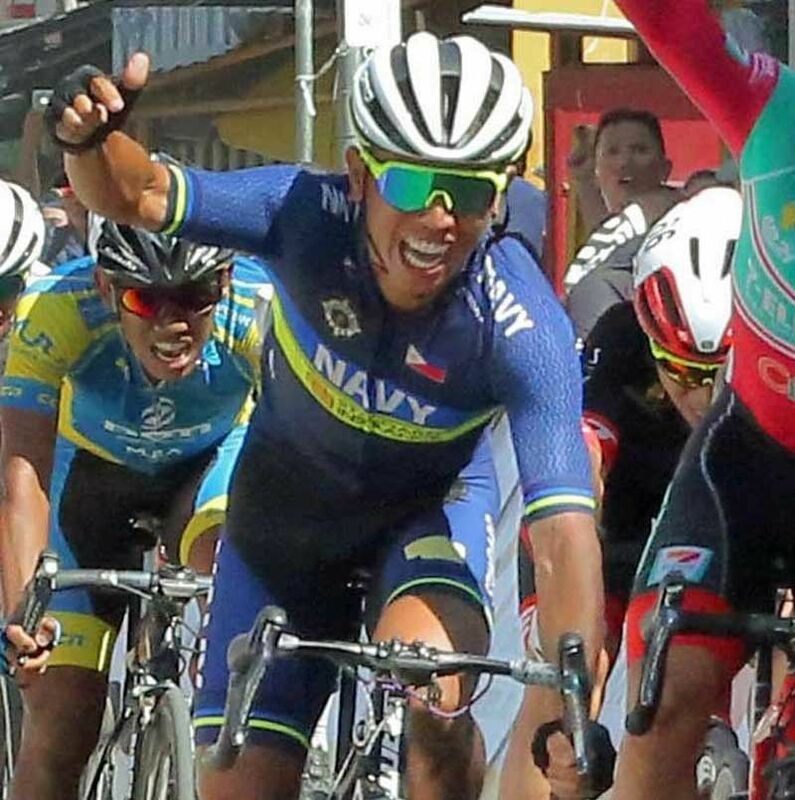 It was sweet revenge for Navy after its rider, 2018 Le Tour titlist El Joshua Carino, wound up only second to eventual Stage Two winner Marcelo Felipe of 7Eleven in Guimaras the day before. “There is rivalry, of course, because we have different sponsors. Even in the Tour de France, there are rivalries,” said Morales in Filipino. “We’re not a continental team like them so we’re also trying to prove to ourselves that we can compete. “We’re after points for our sponsors. What will our sponsor say if we help them (7Eleven) win,” he added. Morales’ stage triumph, however, wasn’t able to shake things up in both the individual and team general classifications as Stage One winner Francisco Mancebo Perez and his Matrix Powertag Japan team remained unflappable on top. Mancebo, a Tour de France veteran whose highest finish was at fourth in 2005, checked in at No. 7 in the stage to remain the overall leader with a total clocking of 12:22:46 and ahead of Oranza (3:52 behind), the reigning Ronda king, and Perez (3:55). Morales stayed at No. 4 or 4:35 behind Mancebo.